Throughout the past year, we've have had the opportunity to meet a score of talented wedding professionals, but to describe Little House Originals as merely a vendor seems unfinished and piecemeal. Helmed by a mother/daughter creative tag team and our very own holiday styling tutors, this 10-month-old company is among the few businesses crafting a new niche in the party rentals market - tabletop décor. Offering unique antiques from dainty teacups to milk glass vases to multi-colored goblets, Gabriela Galeazzi and Karen Comas are masters at customizing personalized moments. Karen explains, "There are other tabletop companies, but their style is unlike ours. Our pieces are antiques – all with an energy of their own." Focused less on what's on trend than on the feeling each item evokes, Little House's originals are hard to describe. Karen adds, "No one looks at a glass the way my mom looks at a glass. She asks 'who owned it before? what is its history?' To us, it’s more about the experience of interacting with our pieces." If interaction is the objective, their little house is the tactic. 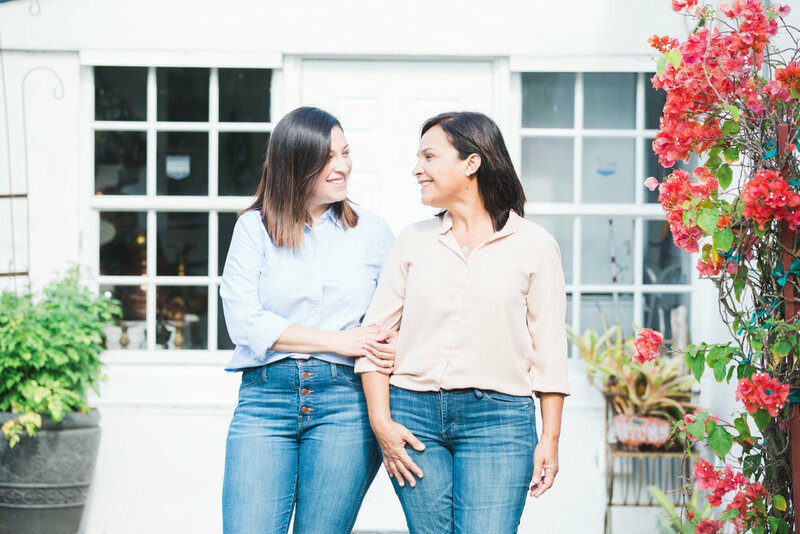 Transforming a small North Miami home to an idyllic den of imagination, Gabriela and Karen have created a sacred space where brides, grooms, and event practitioners of all kinds can see, touch, and experience their dream tablescapes. The small cottage is about as Instagrammable as a house can be; bursting with charming china, whimsical signage, and comfy cuteness at every turn. With just a glance, you want to cozy up with a gingham pillow and have a tea party. 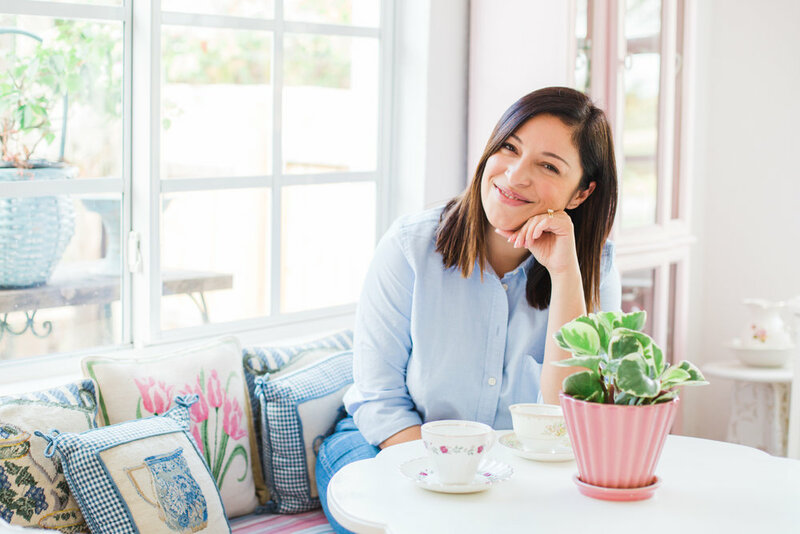 Considering Karen's day job in Talent and Partnerships at Facebook, and Gabriela's lifelong flirtation with creative projects (including home-made pinatas), it's only fitting the pair would create a soothing space that evokes reverie and wonder. 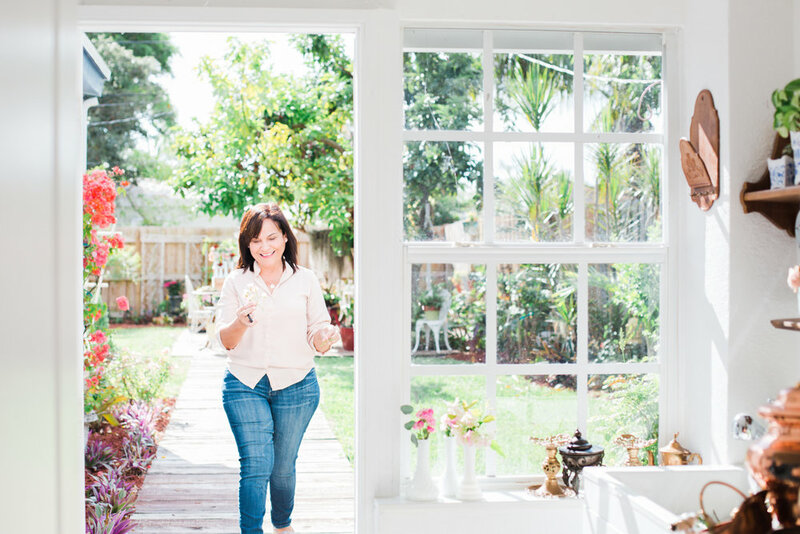 Originally purchased as an empty nester's paradise, Gabriela never intended the house to become a place of business. She explains, "We bought the house thinking we would maybe move in one day.” Karen admits, “The idea of starting a business wasn’t even a thought at that point. I was engaged and traveling to Latin America for work 28 times a year.” It was her engagement, however, that would become the impetus for their accidental side hustle. Originally going at it solo, Gabriela sought collaboration from her family to help transform her talents into a brand. Karen and her husband developed the name. She explains, “We used to call the house 'La Casita' and wanted my mom’s company to have a name that meant something to her. We went with “Little House Originals" because the pieces and settings are all original.” Officially signing on shortly thereafter, Karen wanted to help her mom build her labor of love. "My mom raised me to be independent and have something for myself. She’s always there for other people. When she told me she wanted to do this, I wanted to help her so that she could finally have something for herself." For the most part, Karen handles the business side of the work, overseeing marketing and customer communication, while Gabriela curates and styles. Sparing no detail, Gabriela dedicates an extensive amount of time researching before she creates. Committed to helping her clients visualize the final product, she stages each setting with special touches like homegrown rosemary or fresh florals from the garden to complete the picture. Gabriela justifies modestly, "We just want to make people happy." Smiles are inevitable at the inviting cottage, where colorful tchotchkes dot sleek white walls and lush greenery color the backyard. Always working towards their big dreams for their little house, the duo plans to update their website and open the space for private events and photo shoots. All while continuing to refine all things that make their little house original. There's more where that came from. Contact Little House Originals directly for a full rundown of their inventory.